For one of the first phones out with a Snapdragon, this sure has been some time coming. 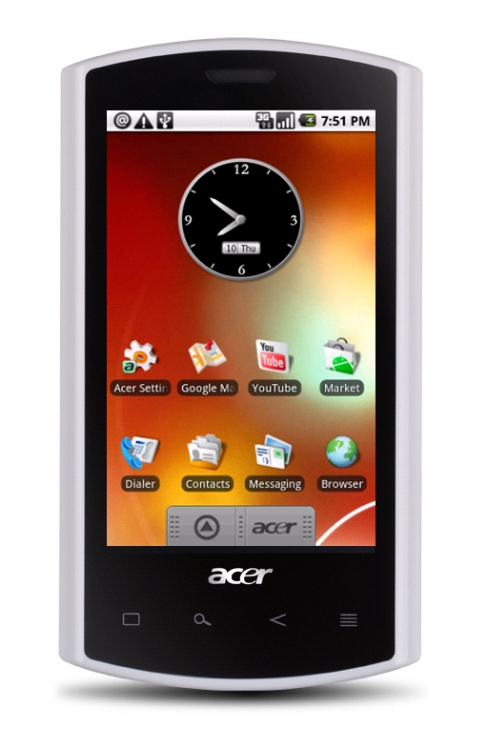 Over at the MoDaCo Android forum, poster LIQUID_USER managed to obtain what he has described as a “very early build” for Acer’s 3.5”, Éclair-running slate. Despite this somewhat unofficial status, the build Acer_LiquidF_0.007.00_EMEA-GEN1_05.01.01) is said to be quite stable, with most device functions working as normal, including wireless tethering and Adobe Flash. As expected, performance benchmarks have increased but the CPU still can’t quite catch the Nexus One at its current clocking (on the other hand, the Acer Liquid’s GPU drivers have always produced better results than the N1, which has sparked a porting project over on XDA-Developers). We’re still waiting on impressions for battery life and long-term stability, but initial responses seem to be quite positive. The ROM has also been rooted, allowing users to fix a few minor issues like button LEDs not illuminating. Check out the source thread on MoDaCo for the most recent developments and more download mirrors. And if there’s any Liquid users out there, we’d love to hear your thoughts on the ROM and overall impressions of the device down in comments. The Liquid is currently only £200 on eXpansys and Scan.co.uk, making it an interesting proposition at the price point.